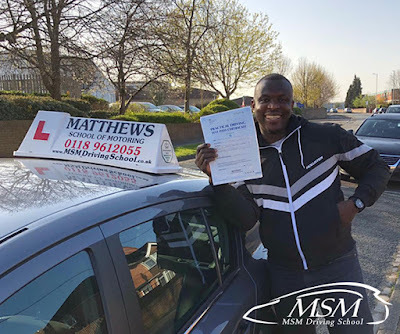 MSM Driving School would like to say congratulations to Adewale Adeoye from Reading, Berkshire who successfully passed his practical driving test with us on Monday the 1st of April 2019 with just 2 minor driving faults at Reading's Driving Test Centre. Will you be next to pass your Driving Test with MSM Driving School? Need Driving Lessons in Reading? Contact MSM Driving School. MSM is a Highly Recommended Driving School within the Berkshire Area. We have a professional team of fully qualified, friendly and patient instructors who provide valuable one-to-one tuition, covering both theory and practical skills needed to get your licence.